STOP THE CONSTRUCTION! SAVE KRUS NA LIGAS FROM EPALS! The No More EPAL Movement and Dakila joins the Krus Na Ligas Community in UP Diliman, Quezon City, today, October 28, 1pm at the Krus na Ligas Covered Courtin their resistance against the intent of their Barangay Captain Julian Santos to construct a building right on Plaza Sta. Ines in front of their parish church. To deliver solidarity speeches in creative satire are Juana Change (Mae Paner) and cultural activist Carlos Celdran. The public action is initiated by the Krus Na Ligas community headed by its parish priest Rev. Fr. Ron Roberto and supported by the Krus na Ligas High School Parent-Teacher Association (PTA) represented by Mr. Mamaril, and SK Councilor Mark Carlo Francisco. 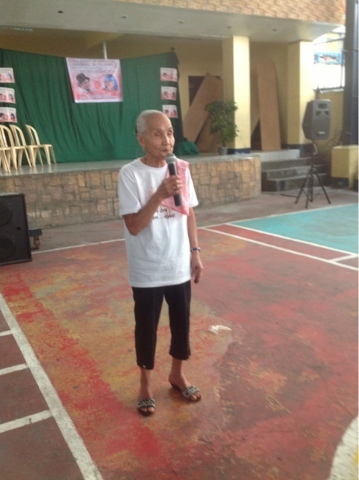 Lola Kika, one of the oldest resident of the community will also deliver a solidarity message. 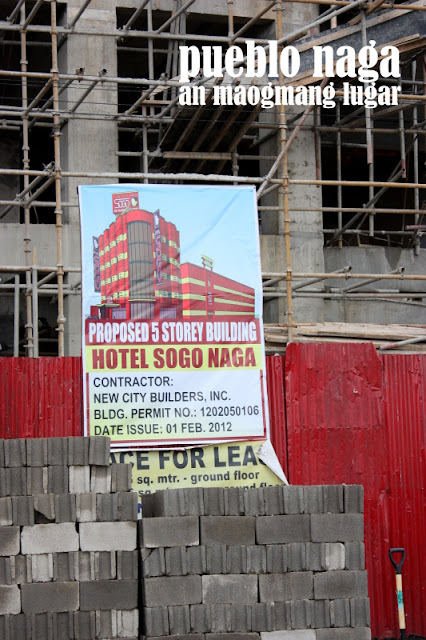 The construction plan, backed by Quezon City Councilor Vince Belmonte, is being pushed down the throats of the Krus na Ligas residents, who value their plaza as the only public space available in their barangay. The community’s arguments against this exercise of impunity by their local leader. 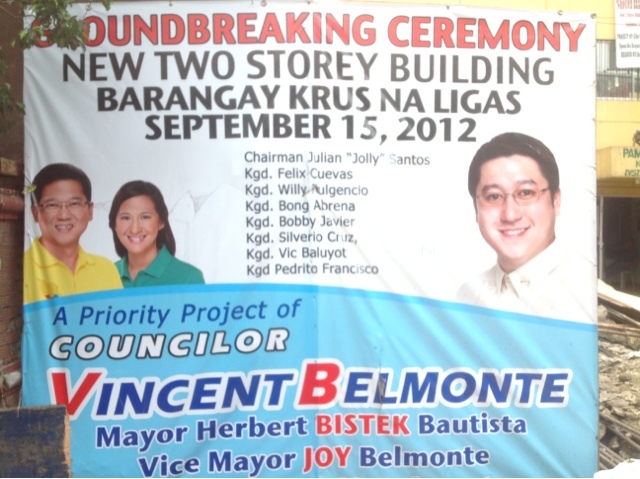 The Barangay Chairman of Krus na Ligas, and his enabler Councilor Vince Belmonte, demonstrate in their deafness of the calls of this Quezon City community, their idea that leaders can do anything they please. They think they are entitled to autocratic powers. They think their ideas and actions are above public debate. 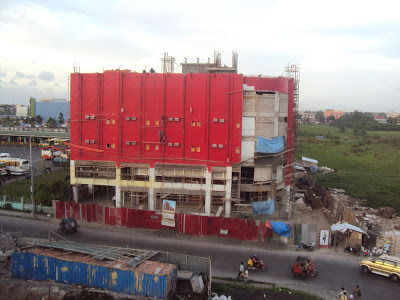 Constructing a 2 story building on a plaza built in a place that the National Historical Institute has marked as the site where Andres Bonifacion and his Katipunan cohorts would retreat from Balintawak—this desecration of a space held in the heart of nationalists, among them, the Krus na Ligas residents—this spits on community honor and right to well-being. The NO MORE EPAL MOVEMENT encourages all right-thinking citizens to join with the Krus na Ligas residents in persuading their Barangay Chairman and Councilor Vince Belmonte to have a change of heart. 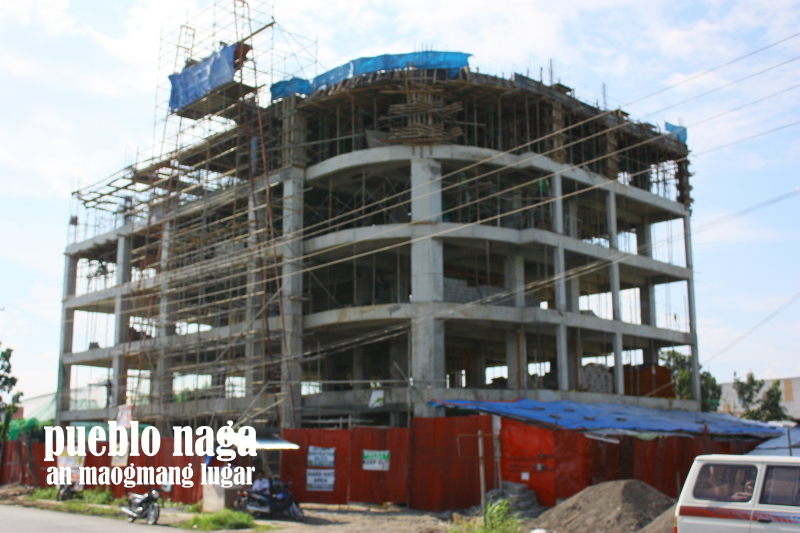 The National Historical Institute issued an order to stop the construction of the expansion of the Krus na Ligas Barangay Hall named as Belmonte Hall, a priority project of Councilor Vincent Belmonte. The No More EPAL Movement and Dakila joined the Krus Na Ligas Community in UP Diliman, Quezon City, yesterday, October 28, at the Krus na Ligas Covered Court in their protest assembly against the intent of their Barangay Captain Julian Santos to construct a building right on Plaza Sta. Ines in front of their parish church. The public action was initiated by the Krus Na Ligas community headed by its parish priest Rev. Fr. Ron Roberto and supported by the Krus na Ligas High School Parent-Teacher Association (PTA), and SK Councilor Mark Carlo Francisco. Juana Change (Mae Paner), dressed as the ghost of a katipunera and historian Xiao Chua also addressed the crowd. Lola Kika, a descendant of Katipunero Isabelo Tuazon and one of the oldest resident of the community delivered in a passionate speech, “Sa Plaza Ines tayo nagtaguan, nagtumbang preso, dito natin binuo ang ating mga pangarap at kasaysayan. Para sa pagmamahal at pagmamalasakit sa Krus na Ligas at mamamayan nito, Handa akong mamatay!" “The Barangay Chairman of Krus na Ligas, and his enabler Councilor Vince Belmonte, demonstrate in their deafness of the calls of this Quezon City community, their idea that leaders can do anything they please. They think they are entitled to autocratic powers. They think their ideas and actions are above public debate.” Lim added. Around 500 residents of Krus na Ligas joined the mass action yesterday aimed to demonstrate people power to stop the construction of the expansion of the Barangay Hall. The mass action ended with the community singing of the Krus na Ligas hymn. 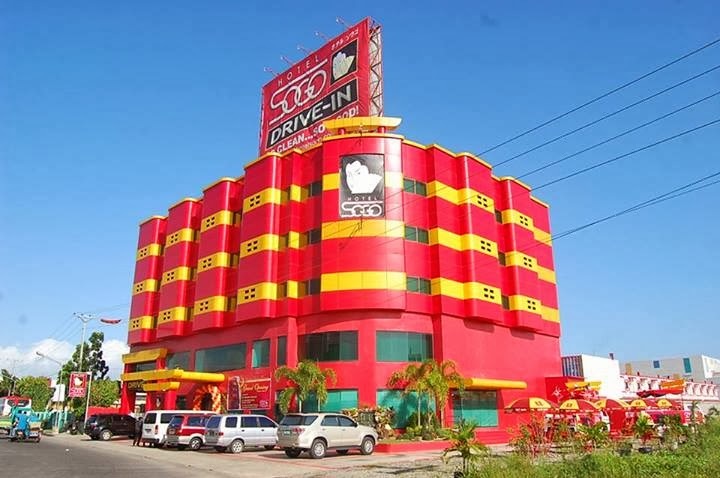 Naga City won 2 games already! The Dios Mabalos! 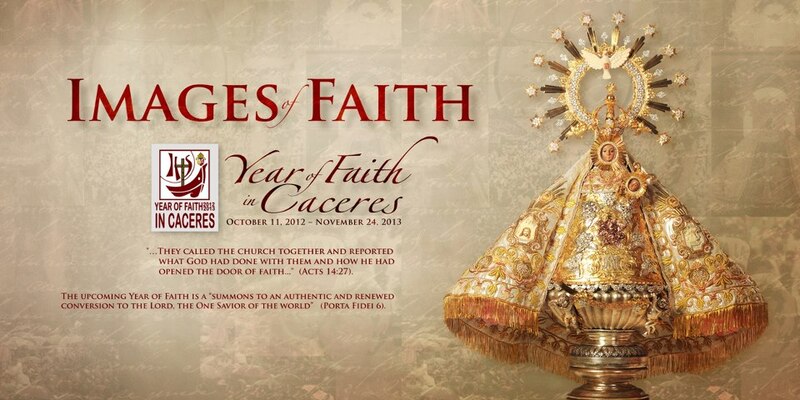 Music and Arts Festival 2012 will be making its first grand salvo in Naga City on October 31st 2012! A showcase of top Bicolano musicians and artists, this night long event until the dawn of November 1st will be a thrilling experience for all music and art lovers! The Asia Foundation Launches Report on "Gender and Conflict in Mindanao"
Last week, a historic peace Framework Agreement was signed between the Government of the Philippines and the Moro Islamic Liberation Front. The agreement seeks to end the separatist insurgency the rebel group has waged for decades in the Southern Philippines, home of one of the world’s longest-running violent conflicts. In this troubled area, a new book examines the dynamics of gender and armed conflict in the Southern Philippines, primarily the Autonomous Region in Muslim Mindanao (ARMM). The Asia Foundation (TAF) last Friday launched a timely and insightful book, “Gender and Conflict in Mindanao,” which examines the complex gender dynamics of conflict by looking at the Philippines as a case study. Prior to this report, little research has been done on the nature or extent of conflict-related psychological distress in Mindanao, and how it impacts on how women and men function socially, and how it could be addressed effectively. Co-written by Leslie Dwyer, Assistant Professor at the School for Conflict Analysis and Resolution of the George Mason University, and Rufa Cagoco-Guiam, Director of the Institute of Peace and Development of the Mindanao State University – General Santos City, the book reports on women’s roles as mediators between warring clans, and as peace advocates in the rural communities in Mindanao. The book was launched to the development community, media, national government agencies, and civil society organizations last October 19, 2012 in Makati City. In August 2010, the Foundation commissioned a study to examine the dynamics of gender and conflict in Mindanao. The study focused on the various transformative processes that take place during and after armed conflict, especially those that have serious implications on the traditional roles of men and women in grassroots communities. A field-based research and a literature review were conducted to identify the challenges and opportunities for women and men in community and national peace building. In this report, Dwyer and Cagoco-Guiam discussed among other things – the psychosocial impacts of armed conflict on men: its implications on their mobility, and eventually, their educational attainment. The book also discusses the importance of pushing for mobile livelihood that strengthens communities and non-traditional programs both for men in women in areas vulnerable to armed conflict. Lastly, the book illustrates the need to intensify efforts in training and supporting women as mediators of community conflicts. 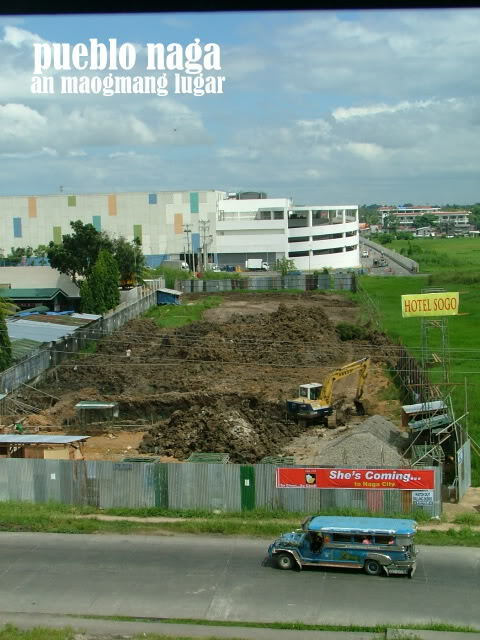 • In Chapter I, the book initially gives an introduction on gender and conflict zones, and then provides a backgrounder in Chapter II on the conflict situation in Mindanao: geographic and ethnic profile, a brief history of Mindanao’s long-running conflict, and an initial profile of gender dynamics in the conflict zone. • Chapter III then illustrates the impact of the conflict on women, and on gender dynamics in Mindanao discussing some issues on gender and mobility, displacement, economic burdens, young women and girls, psychosocial effects, and the nexus of gender role transformations and cultural values. • After tackling women’s roles in peace building in Chapter IV, it then discusses in Chapter V how to make assistance “more gender sensitive” including the need to strengthen women’s civil society to play a more influential role in peace negotiations and conflict resolution. Chapter V also reports on the importance of enhancing gender and conflict policy and ensuring its grassroots relevance – building on women’s strengths as community conflict resolvers; strengthening holistic approaches to conflict, and strengthening the knowledge base on gender and conflict in Mindanao. • For its conclusion, the book emphasizes the transformative potentials of gender analysis– incorporating women’s experiences and capacities and acknowledging complexity and making space for difficult conversations to address gender issues. The report argues that programming is more effective when comprehensive gender analysis is utilized and that such an approach can be transformative in societies trying to emerge from conflict. The study was funded through The Asia Foundation’s annual US Congressional appropriation, and with support from the United Kingdom's Department for International Development. In the Philippines, The Asia Foundation's programs on conflict are funded by AusAID, DFID, USAID, and the World Bank. Since 1954, The Asia Foundation's programs in the Philippines have been strengthening good governance and economic development. The Foundation has supported programs in Mindanao for more than 30 years through its assistance to local governments, the private sector, and non- government organizations to work toward peace and prosperity in the southern Philippines. The Asia Foundation is a nonprofit, nongovernmental organization committed to the development of a peaceful, prosperous, just, and open Asia-Pacific region. The Foundation supports Asian initiatives to improve governance and law, economic development, women's empowerment, the environment, and regional cooperation. Drawing on nearly 60 years of experience in Asia, the Foundation collaborates with private and public partners to support leadership and institutional development, exchanges, and policy research. With 17 offices throughout Asia, an office in Washington, DC, and its headquarters in San Francisco, the Foundation addresses these issues on both a country and regional level. In 2011, the Foundation provided more than $97 million in program support and distributed nearly one million books and journals valued at over $41 million. For more information, please visit: http://www.asiafoundation.org. The Philippine Internet Freedom Alliance (PIFA), made up of different organizations, netizens, and bloggers, occupied Padre Faura for the second time on Tuesday to uphold freedom of expression and pressure the Supreme Court to issue a temporary restraining order on the Cybercrime Prevention Act. The group posed as criminal mugshots, holding letter boards which said, “RA 10175, nag-like sa Facebook,” “RA 10175, nag-retweet sa Twitter,” and other similar messages. Other members simply carried plain black placards and taped their mouths with black electrical tapes. “If the government does nothing wrong then it has nothing to fear from freedom of speech,” Kenneth Keng, PIFA Spokesperson, said. PIFA also submitted a petition for TRO yesterday, October 8. The grounds for the petition included: the law as a violation of the right to privacy, as a violation to equal protection, and as a violation to free speech. 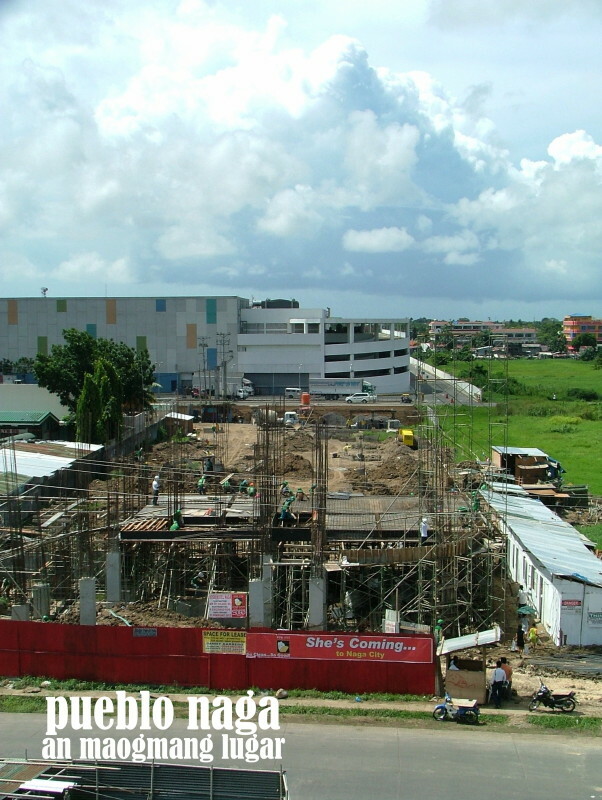 Individuals and organizations part of PIFA were the signatories of the said petition. An online black-out also continues as support of the protest. Access, a global movement for digital freedom, has supported the cause and helped PIFA’s campaign go on an International level. “With broad and unjust cybercrime laws being enacted around the world, we need to fight them one by one. That's why it's critical that the international community stands together on Black Tuesday,” Access said on their website petition to Stop Cyber Martial Law. They have also blackened out their site. “The threat to Internet freedom is not just an issue of the Philippines. There have been many threats to it worldwide, such as the SOPA and PIPA. What is important is that we stand up for our rights. If the world condemned SOPA and PIPA, the world will rally behind us in this fight against Cyber Martial Law,” Ayeen Karunungan, also a spokesperson of PIFA, said. PIFA is a broad alliance of organizations and individuals who stand together to protect our basic rights to liberty and dignity – including the right to privacy, and freedom of expression, speech, sexuality, and mobility – on the Internet and who opposes RA 10175 which contains provisions that are oppressive, susceptible to abuse, and against the fundamental liberties guaranteed by the Constitution. It is an open alliance and anyone who share the same advocacy may join. The recent arrest and maltreatment of Ms. Esperlita Garcia, environmentalist from Nueva Vizcaya has once again put the Cybercrime Law in question. More known as Perling, the 62-year old grandmother posted statements against a Chinese and Taiwanese firm on their mining operations, which was taken as “malicious and defamatory” by the latter which led her to be sued by no less than the Mayor of their town, Carlito Pentecostes. While the case against Perling is said to be under the Revised Penal Code and not the Cybercrime Law, the fact still remains that Perling was arrested for a Facebook post that stated out factual events, only taken badly by a public official. Time and again, the government has been saying that the Cybercrime Law will not be used against ordinary citizens and will not be used to trample on rights of Filipinos. Maybe the President will not use it against us nor will Sec. Leila de Lima of DOJ, but we, in Dakila, opponents of the Cybercrime Law, have been saying that someday, someone will and now, someone already has. Digital media has become a force to reckon with and has contributed a lot to activism. Posts like Perling’s, no matter how factual, will always be found “malicious and defamatory” by those who are on the other side. But it is also posts like these that need to get out there and be known to the people. The Cybercime Law merely poses a hindrance for these kinds of information to reach citizens and will be abused by the powerful against the powerless. Today, October 16, is World Food Day. While the world celebrates food, statistics show that 925 million people experience hunger, 578 million of which are in the Asia and the Pacific region. According to Social Weather Station, 4.3 million families experience hunger in the Philippines, despite its economic growth. While the Philippines used to be Asia’s rice bowl, the country has become one of the biggest importer of rice in 2010, according to Oxfam International. And one solution that may help the Philippines become rice self-sufficient is if Filipinos switch their eating habits from white rice to organic brown rice. “Brown Rice can become the hero to our rice problem, but only if we help it become one. This is because Brown Rice has less wastage in the milling process, which means there will be an increased production. At the same time, we help our local farmers,” Noel Cabangon, Brown Rice advocate and Dakila Vice President said. While some people have switched to brown rice, others believe it is too expensive. The price of brown rice ranges from 45 pesos/kilo in the provinces to 90 pesos/kilo in the city. However, a study published by the Department of Agriculture – Philippine Rice Research Institute (Rice Science for Decision Makers Vol. 2 No. 3) revealed that If all Filipinos would eat brown rice for breakfast, lunch, and dinner just once a month (36 meals a year), our rice importation would shrink by an average of 50,000 metric tons per year, valued at US$20.32 million (or P812.81 million pesos) savings yearly. According to a research conducted by Oxfam, the milling recovery of brown rice is 10% higher, which can lead to additional sacks of rice that can be leveled with the amount of rice we import. This means that the country would have the capability of producing enough amounts of rice that would prevent us from importing from others. Under Oxfam International’s Grow campaign, and in partnership with the artist collective, Dakila, the Brown Rice campaign aims to revive brown or “unpolished” rice back to the regular diet of the Filipino and promote sustainable agriculture and climate mitigation. For more info, check out http://www.facebook.com/GrowBrownRice or call 09175057055. With a unanimous verdict, the Supreme Court has issued a temporary restraining order on the Cybercrime Prevention Act of 2012 on Tuesday, October 9, amidst protests by different organizations, including the Philippine Internet Freedom Alliance. A total of 15 petitions were filed at the Supreme Court. Some grounds of the petitions include: the law as a violation of the right to privacy, to equal protection, and to free speech. “Dakila lauds the Supreme Court for their decision. However, the TRO is only one step to the long road that lies ahead towards Internet Freedom. While freedom is not absolute, Dakila believes that the Cybercrime Prevention Act of 2012 in its current form does not answer the needs of netizens and cyberspace. And as a country that takes pride in democracy, we cannot allow to have a law that sends a chilling effect on Filipinos and which may be used as an avenue for misuse and abuse,” Ayeen Karunungan, Dakila council member and PIFA spokesperson, said. The TRO will last for 120 days and the oral arguments on the case will be held next year, January 15. “We call for every citizen to remain vigilant and continue the fight for the law to be repealed. We call for our lawmakers to craft a law, together with the citizens, that will truly answer the needs and address the problems encountered in cyberspace. The Internet has helped transform the face of activism, how we protect it is now up to us,” Karunungan added. Meanwhile, Dakila has been working with other groups including Access, an international group instrumental in the successful campaign against SOPA and PIPA, to research legislations in other countries that worked to prevent cybercrimes but also protects digital freedom. Dakila is an organization of artists that teaches Digital Activism, a program that empowers advocates to strengthen their work through digital media and is a member of the Philippine Internet Freedom Alliance. 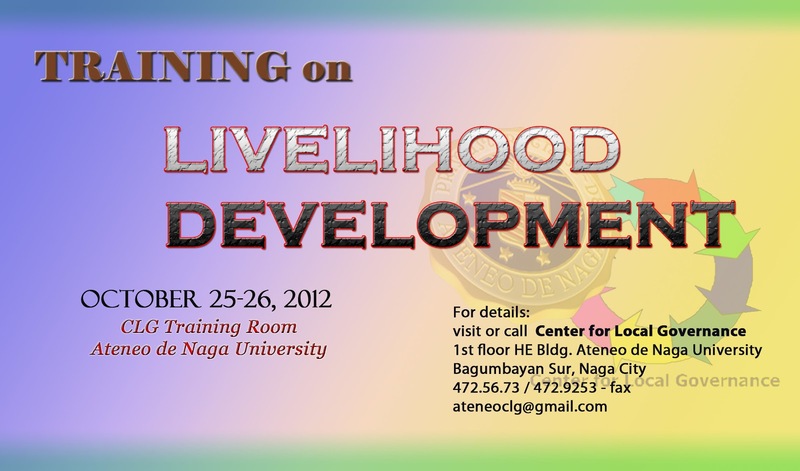 For more info, contact Ayeen at 09175057055. The artist collective Dakila, a core member of the Philippine Internet Freedom Alliance, has been working with Access to bring to the attention of the international community the fight against cyber martial law in the Philippines. In the twitter world, people from all over the world have been retweeting “This tweet’s safe, but 1 bad RT=12 yrs in jail under new Filipino #CyberCrimeLaw” to gain support for the petition. On Tuesday, the Philippine Internet Freedom Alliance is set to hold another Black Tuesday to protest the Cybercrime Law as they wait for the Supreme Court en banc’s decision for the TROs. Access has called on the international community and netizens all over the world to stand together on Black Tuesday. 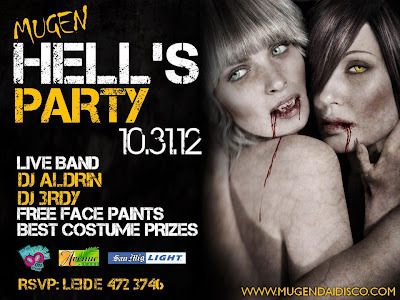 Halloween treats and events that you can enjoy here in Naga. Click on the links for details. Blume Rock Asia Inc. and Nityo Infotech are duly registered corporations organized for the primary purpose of engaging in information technology business and other allied services. 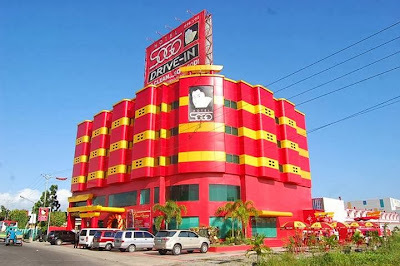 They have partnered with Transcom Worldwide, a global outsourced provider, who is in need or more or less than 3,000 customer service employees. 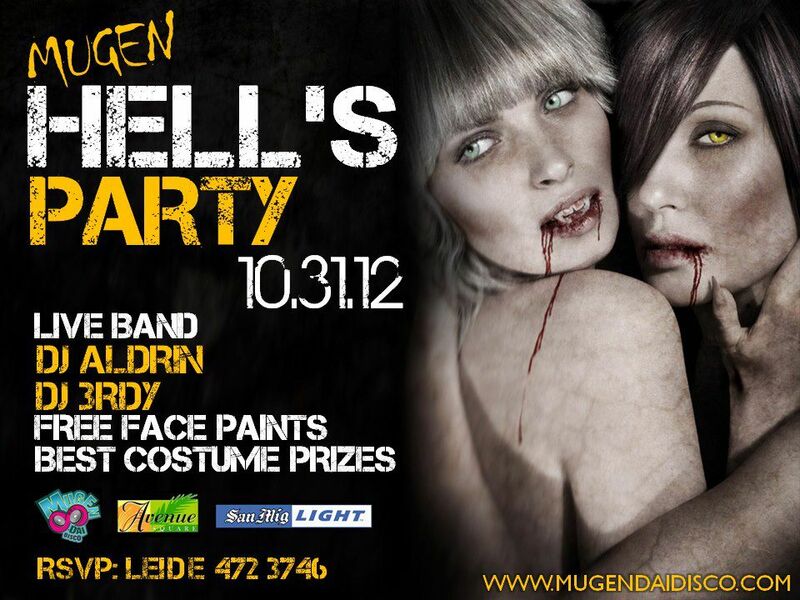 Get ready to pump your blood!! Don't forget to bring your SM Advantage Cards! Halloween is here and Avenue can make it all happen. 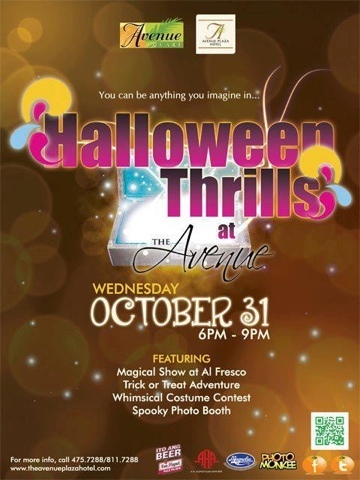 You can be anything you imagine in the Halloween Thrills at The Avenue on October 31, 2012 from 6:00 pm to 9:00 pm. Uplift your spirit by treating yourself thru original and high quality footwear. 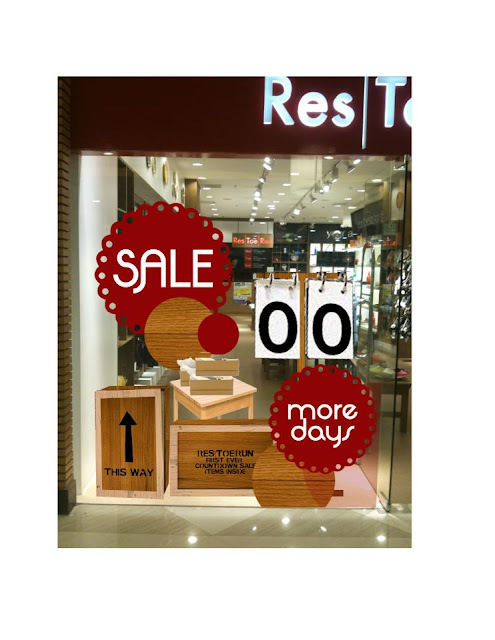 Visit Res l Toe l Run Robinsons Place Palawan, Avenue Square Naga and Embarcadero De Legaspi from Oct 5 -21, 2012 for our BIG TIME SALE. Affordable prizes are offered to you dear customers! Come and avail our up to 70% discount on selected items. Hurry! Visit Res l Toe l Run now! A basketball friendship game on October 13, 2012 3:00 pm at the Jesse M. Robredo Coliseum. 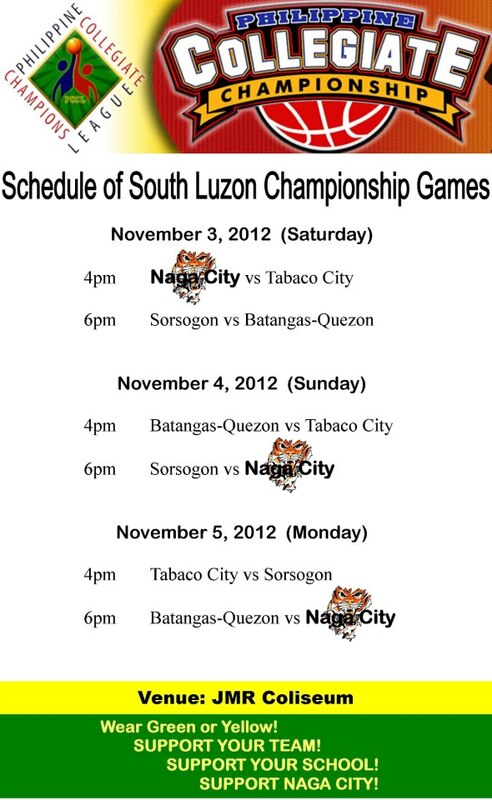 Let's support the NCF Tigers!!! Manila – Today marks the beginning of the campaign season for the May 2013 mid-term elections. Over the next five days tens of thousands of political aspirants will file their certificates of candidacy in the hopes that they can acquire political office - the golden Ring of Power lusted for by many a political Gollum. To this end, we have seen in the past few months efforts by individuals, mostly incumbents, to get their names and faces in front of the voters in the guise of public service, transparency and accountability – a practice known as “epal”. Indeed, this practice was the trigger for the No More Epal Movement, as it saw the boiling over of the strange brew of Philippine politics in the form of “epalism”. The public has responded to this movement by expressing its collective disgust at “epal” (as the thinly disguised practice of premature-campaigning) through social media, websites, blogs, editorials, social commentaries, letters to the editor, and the like. Nary an independent nor sober voice can be heard that condones, advocates and supports “epal” behavior, save for the incumbents themselves. “Epal”, the habit of politicians to claim personal credit for publicly funded projects and programs, accompanied by the need to stamp their names and faces on every square inch of public space, is recognized by the No More Epal Movement as merely symptomatic of the much deeper problems of our politics, i.e. patronage politics, campaign finance, personality based campaigning, weak political institutions and parties, corruption, and family dynasties. A quick look at the unholy alliances being formed in order to complete a slate of 12 senatorial candidates speaks to many of these deep issues, where “winning at all costs” is the mantra of political strategists and is used as a substitute for “platforms of governance”, “issued based politics” and “political ideology”. It is this utilitarian view that stands in the way of true political reform. - “Sarswela” campaigning, where glitz and glamour, song and dance blind the audience in a deliberate dumbing down of the campaign, instead of debating and discussing ideas, platforms and programs of governance. This brand of politics is at the core of many of the country’s ills which range from state capture by the political and business elites which distorts policy and decision making to favor narrow family and/or business interests to grand graft and corruption. It is a politics that concentrates power in the hands of a few established political families, while disempowering citizens. It promotes the politics of patronage (as strongly evidenced by the credit grabbing by politicians and their “you should thank me” attitude). Epal is only the symptom of a rotten political system that fails to address the needs and aspirations of the people it is meant to serve. The discussion on “epal” must now be steered away from the symptom to the disease, and to confront, analyze and finally find solutions for the deeply entrenched problems that bedevil our politics and political system.